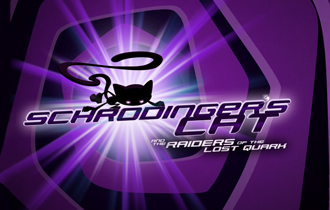 Independent publisher Team17 and indie dev Italic Pig are proud to announce that fast-and-furious, action-adventure, platformer-puzzler Schrödinger’s Cat and the Raiders of the Lost Quark, will be available to download for PC, Mac and Linux today from Steam for just £9.99 / $14.99 / 12,99 € with a 20% launch discount available. Schrödinger’s Cat and the Raiders of the Lost Quark will be available to download for PC, Mac and Linux later today from Steam for just £9.99 / $14.99 / 12,99 € with a 20% launch discount available. Schrödinger’s Cat will also be playable at EGX London this month (25th – 28th September). Those attending EGX London should head down to the Team17 stand, which can be found in the Rezzed area of the show floor, to get hands on quantum physics’ favourite dead-&-alive feline!